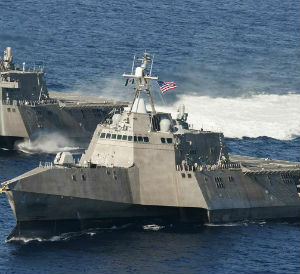 The Office of Management and Budget has issued a statement saying the White House is not in favor of a provision in the fiscal 2019 defense appropriations measure to procure a second littoral combat ship, Defense News reported Saturday. That provision reflects a $475 million increase from the administration’s requested budget for FY 2019. 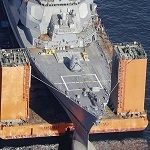 “One LCS in FY 2019, when combined with the three funded in FY 2018, would keep both shipyards supplied with enough work to remain viable for the frigate competition,” according to the statement obtained by the publication. The report said the agency’s statement suggests that the Trump administration wants the U.S. Navy to accelerate the procurement of FFG(X) guided-missile frigates.